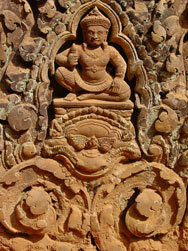 Banteay Srey loosely translates to ‘citadel of the women,’ but this is a modern appellation that probably refers to the delicate beauty of the carvings. Built at a time when the Khmer Empire was gaining significant power and territory, the temple was constructed by a Brahmin counselor under a powerful king, Rajendravarman and later under Jayavarman V. Banteay Srey displays some of the finest examples of classical Khmer art. 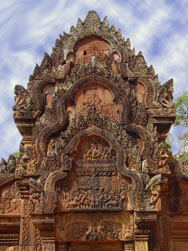 The walls are densely covered with some of the most beautiful, deep and intricate carvings of any Angkorian temple. 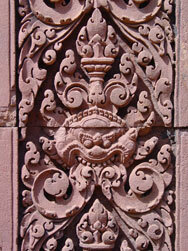 The temple's relatively small size, pink sandstone construction and ornate design give it a fairyland ambiance. The colors are best before 10:30 AM and after 2:00 PM, but there are fewer tourists in the afternoon. This temple was discovered by French archaeologists relatively late, in 1914. The temple area closes at 5:00 PM. 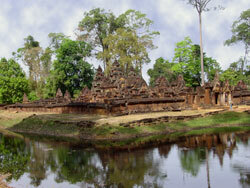 Banteay Srey lies 38 km from Siem Reap, requiring extra travel time. 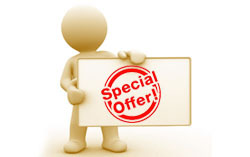 Drivers usually charge a fee in addition to their normal daily charge for the trip. 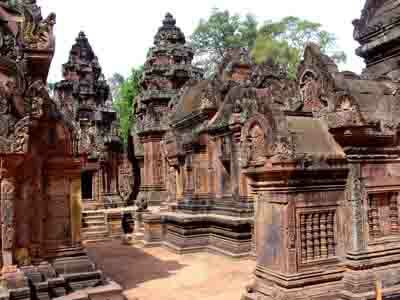 Banteay Srey is well worth the extra effort. 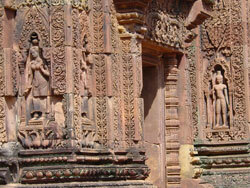 Combine a visit to Banteay Srey with Banteay Samre.